P. Sanders McNeal paints figurative studies, portraits, and still lifes as well as landscapes and murals. Born in Greenwood, Mississippi, in 1949, Sandy McNeal grew up in Greenville and Indianola. She earned a bachelor of fine arts degree from Mississippi University for Women and moved to Jackson in 1962, becoming an important member of the city’s art community. McNeal has studied in New York, France, Italy, and Ireland, honing her skills in classical realism. She is versatile in oil, watercolor, pastel, and pencil, and her paintings portray scenes from Mississippi and beyond. Whether depicting the blue-sky expanse of the Mississippi Delta, a fog- and snow-drenched mountain range in Utah, or the green bog waters of County Kerry, Ireland, McNeal’s paintings interact with the natural light of their surroundings. McNeal also paints nonrural subjects: for example, The Rehearsal (1997) depicts a musician playing his saxophone in an alleyway, with his long shadow on a wall. The positioning of the saxophonist indicates his enjoyment of performing. His only audience is a small cluster of wildflowers growing in the cracks of the alleyway. Described as a salute to Mississippi’s musicians, The Rehearsal was commissioned for Jackson’s 2002 Jubilee!JAM and was later featured in the Mississippi Museum of Art’s The Mississippi Story exhibition. Sanders’s work has been included in numerous exhibitions throughout the United States as well as in France and Ireland. She was commissioned to paint a mural for Union Station in Jackson in 2002, and in 2004 she accepted a commission for a painting, Au Seuil de la Renaissance (“At the Threshold of the Renaissance”), commemorating the sixtieth anniversary of the Mississippi Symphony Orchestra. McNeal was also selected as the official artist for the 2006 US International Ballet Competition in Jackson. McNeal’s Mississippi-related works also include pastel courtroom drawings she did of the 1994 retrial of Byron De La Beckwith for the murder of civil rights icon Medgar Evers. 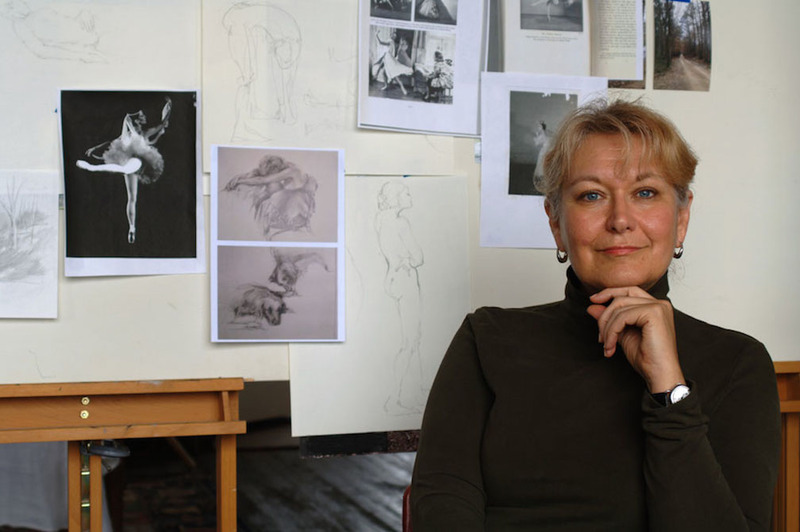 McNeal received the Governor’s Award for Excellence in Visual Arts in 1999 and the Mississippi University for Women’s Alumnae Achievement Award in 2005.